we create beautiful music together! We're a small operation with big ideas, striving to bring you the very best in choral music. Any contribution, small or large, ensures that we can continue to provide the Philadelphia region with exciting, engaging programming. 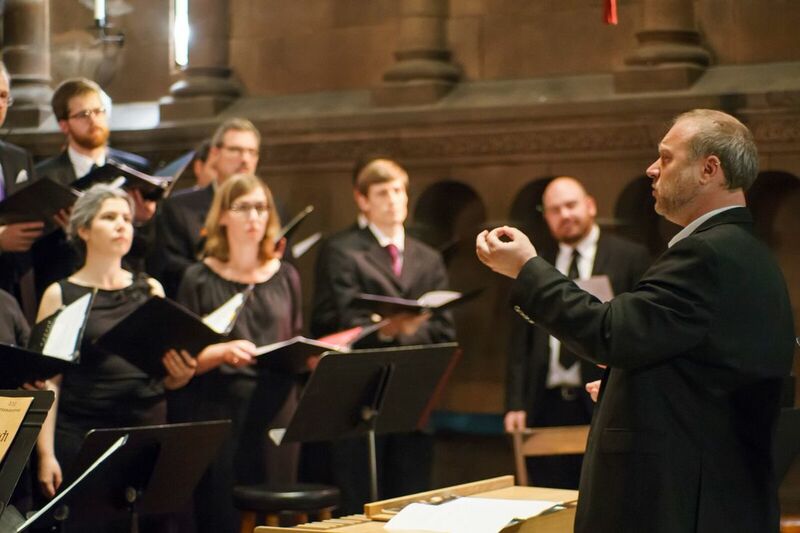 Support Choral Arts Philadelphia today! Choral Arts relies on gifts from our supporters to enable us to present concert experiences that delight and engage our audiences. Your gifts to our Annual Fund are essential, and allow us to say "yes" to innovative programs and performances. Gifts to the Annual Fund also help us pay for guest artists, concert recordings for radio and web broadcast, and, most importantly, our Pay-What-You-Wish admission programs, which ensure that no one is ever turned away from our Bach@7 concerts because they cannot afford it. ​Corporations and individuals are invited to sponsor a program or a single piece of music in our popular Bach@7 series. Sponsors will be acknowledged in the program and at the performance. Many of our Bach@7 series programs have been sponsored as honorary or memorial gifts. These concerts are a moving way to celebrate life events or commemorate loved ones. ​If you are reading this page, it means you love the arts. And if you have a business to advertise - you are at the exact place you want to be! Our diverse and growing audiences include people of all ages, interests and professions. From students and young professionals to business owners, music scholars, parents and tourists, our guests arrive from the PA, NJ, DE, NY regions and beyond to hear our concerts. Last year, our program books, produced by the talented designers at GDLoft, won a prestigious Award of Design Excellence from the Philadelphia Chapter of the American Institute of Graphic Arts. We are proud that our books have become a keepsake for many of our audience members! In addition, this year your ads will receive a powerful additional exposure: our digital program books will be posted online, with promotions in Social Media and direct links to our advertisers. We need all the helping hands we can get. Volunteering for Choral Arts can offer insight and experience into our creative process, from production to marketing to audience development, not to mention direct access to our many renowned artists. Sharing your skills and enthusiasm for choral music with like-minded people is highly awarding. We deeply appreciate the services of our dear volunteers. To join our dynamic team of volunteers, please email us at info@choralarts.com. AmazonSmile will donate 0.5% of the price of your eligible Amazon purchases to Choral Arts Philadelphia. Go to smile.amazon.com and select "Choral Arts Society of Philadelphia" as your designated charitable organization to receive donations from your eligible purchases. You can contribute to Choral Arts through the annual United Way campaign. Simply use code number 52930 to direct your United Way contribution to Choral Arts Philadelphia. Many thanks!